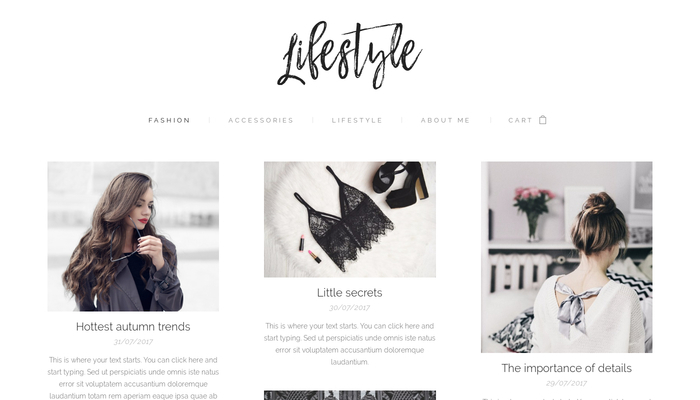 This stylish template will please all lifestyle, beauty and fashion bloggers. 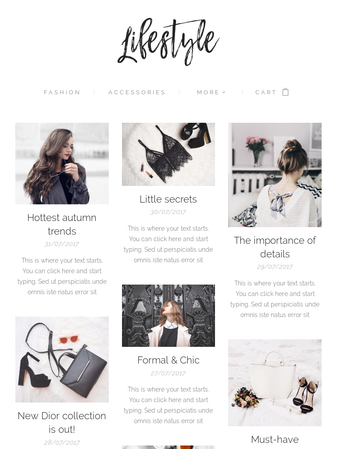 Its sleek black-and-white design and new layout options will surely catch the attention of your visitors. Show your personal logo in the header and pass your unique style to your website.